The Museum’s identity reflects both what we are doing and our aspirations for the future. We worked with Ziba Design, a renowned Portland-based firm that is a global leader in branding and product development, to create our visual identity. 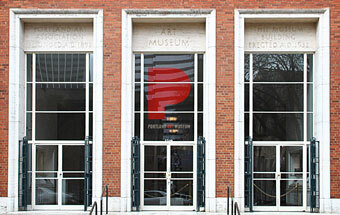 The center of our brand strategy is our mark, anchored by a large, bold “P” that serves as a portal—a window—into the Museum and the world of art. Learn more about our brand and our work with Ziba Design.